Shakespeare’s most cunning villain turns sleep and dreaming against his enemies. At the center of Shakespeare’s dark tragedy is the cruel dynamic between Othello, a magnificent warrior and heroic leader, and Iago, his resentful subordinate. (In the current production at the Oregon Shakespeare Festival, Chris Butler performs in the title role, and Iago is played by Danforth Comins). 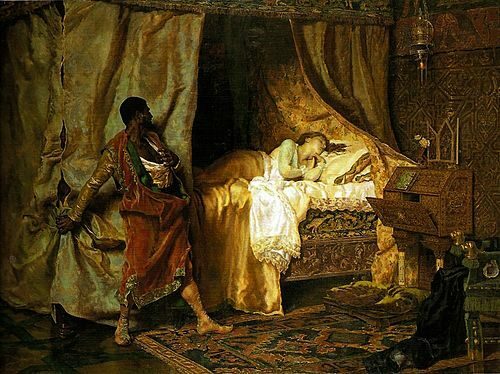 Despite being a dark-skinned Moor, Othello has earned the trust of the white Christians of Venice because of his military valor and success in defending their city. But Iago secretly hates Othello, and he launches a devilish plan to ruin, humiliate, and destroy him, all while pretending to be Othello’s most faithful servant. 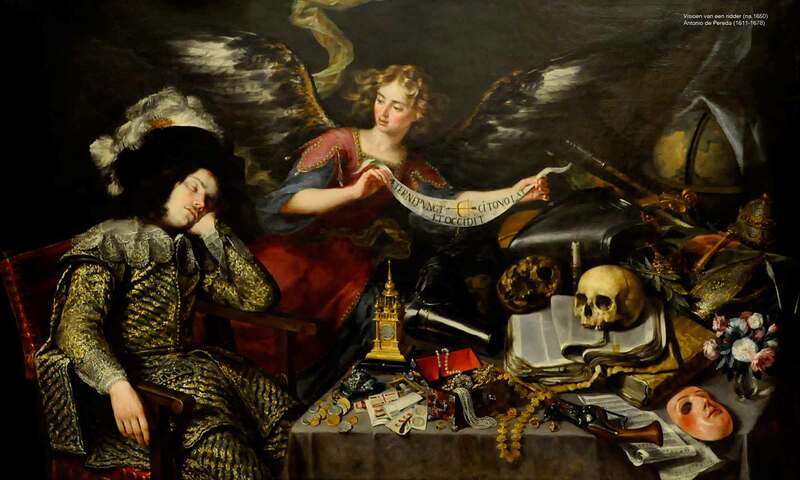 A subtle weapon in Iago’s arsenal is his malicious manipulation of people’s perceptions of sleep, beds, and dreaming. Iago tells Roderigo his suspicions are no more credible than the fleeting whimsies of a dream. He relies on a kind of proverbial phrasing that equates dreams with something as far as possible from the conscious mind. He’s telling Roderigo: Not only did I not know about this, but it was not even in the furthest reaches of my awareness. Iago slinks into the night before Brabantio confirms that Desdemona is missing, but his dastardly work is done. Brabantio has awakened to his worst fear—the dishonoring of his daughter—and Iago has insured that all his paternalistic rage will be aimed straight at Othello. It seems unlikely that Iago knew Brabantio was dreaming right before he awoke, but it certainly works to the villain’s advantage. In a way, Iago both creates Brabantio’s dream and interprets it. If he and Roderigo had not caused a noisy uproar, Brabantio would have kept sleeping, and might not have remembered this dream at all. Once Brabantio is awake, if he had not been immediately confronted with the shocking news of his daughter’s betrayal, he might have associated the dream with something else in his life. Although he seems slightly ambivalent about the dream’s relevance to the situation with his daughter (they are “not unlike”), it takes no time for the two to become fused emotionally in his mind (“it oppresses me already”). This is just as Iago would want. Iago has manipulated Brabantio into using the energies of his dreams to fuel his vendetta against Othello. From Brabantio’s perspective, everything in the play turns out just as badly as he feared it would. In that regard, his dream could be regarded as an accurate prophecy of the doomed future. Even though he’s wrong about Desdemona’s virtue and integrity, he’s right about the danger to her posed by the Moor. Iago is the interpretive agent of this realization, and he turns Brabantio’s insight into a weapon aimed straight at Othello’s heart. Alas, the shot has no effect. Brabantio cannot persuade the leaders of Venice to act against Othello, given their overriding need of his military protection, plus Desdemona’s sincere declarations of love for him. He likens his scheme to a prophetic dream that predicts the future. At one level this is quite ironic, since Iago is anything but superstitious. His behavior reflects a pure form of willful, defiant individualism; he is determined to create his own chosen future, not wait passively for his fate. 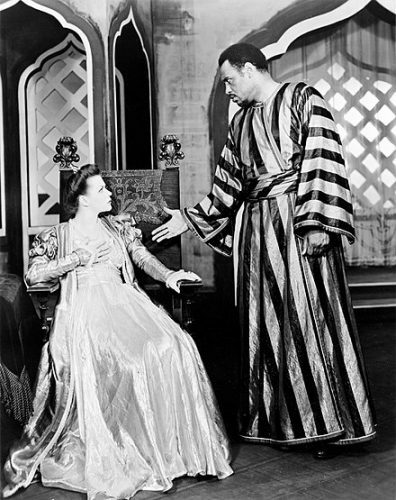 From here, Iago immediately pivots to the topic of the precious handkerchief that Othello gave as a present to Desdemona, and that Iago has stolen and is about to plant in Cassio’s possession. Iago thereby weaves together “proofs” from various sources, each one small in itself but together forming a larger pattern of meaning, a pattern that, unbeknownst to Othello, has been predetermined to drive him mad. The mighty warrior is no match for his malevolent servant’s interpretive reasoning. Iago has persuaded Othello to think of murdering his wife in their bed as pleasing, as “good, good… very good.” This line is chilling testimony to Iago’s success in warping Othello’s soul. This is the same bed that Desdemona, just a few scenes earlier, has playfully described as a “school” where she hopes to teach her husband about empathy and compassion for others (III.iii.24). She is planning to devote herself to expanding his emotional self-awareness, but she never gets the chance. The bed where she wants to cultivate their relationship in new directions becomes the place where he, in a single-minded rage, will destroy it. Othello likes to think of himself in larger-than-life terms, as a legendary hero bursting forth from a realm of mythic dreams. Desdemona loves him for his adventurous spirit, but she is also trying to temper his warrior instincts and bring out a fuller human being. Iago, however, feeds his grandiosity, stokes his reflexive aggression, and encourages his naïve assumptions. Othello, the proud and courageous veteran of so many fearsome battles, chooses, at this decisive moment in his life, to follow the easier, cowardly path. Death and destruction for all is the result.